Super Wonder Wafers "Build Your Own Variety Pak"
There's Nothing Like It "Build Your Own Super Wonder Wafers Variety Pak" ! Enjoy The Freedom Of Choice ! Choose From 24 Super Fragrances - Mix and Match Them As You Please ! No Limit To How Many Or Which Fragrances You Choose, No Minimum Quantity ! PRICING INCLUDES "FREE" SHIPPING ! * Orders received for less than twelve will be shipped first class via USPS in a plain business size envelope and will not have a tracking number. Orders of 12 or more will be packaged and shipped in our Bubble Mailers and will have a tracking number. 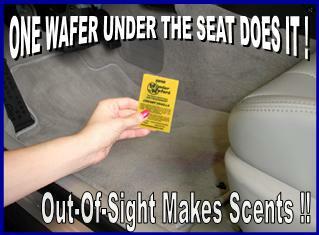 Wonder Wafers “Super Singles” are individually wrapped and perfect for those who just want a few Wonder Wafers at a low cost. 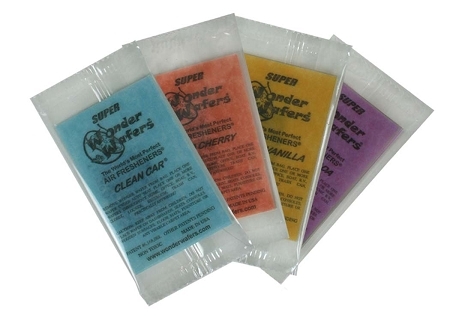 Each "Super Single" is "Factory Direct Fresh and Sealed" to keep that amazing aroma until you are ready to use them. I love the "build your own" variety packs. It allowed me to choose quantity and fragrances I wanted. I only wanted one cinnamon to try, but also wanted a few other fragrances. Thanks Turpco for allowing me to choose the fragrances and quantities I want! Q: Can I buy just one wonder wafer of each fragrance I'm interested in, or is there a min order to get free shipping ? A: There is no min order to get free shipping, and you may order just one single Wonder Wafer, or pick and choose one or more of each fragrance you're interested in. There are no limits on this product as to the quantity you may want to order...and it's always FREE Shipping.